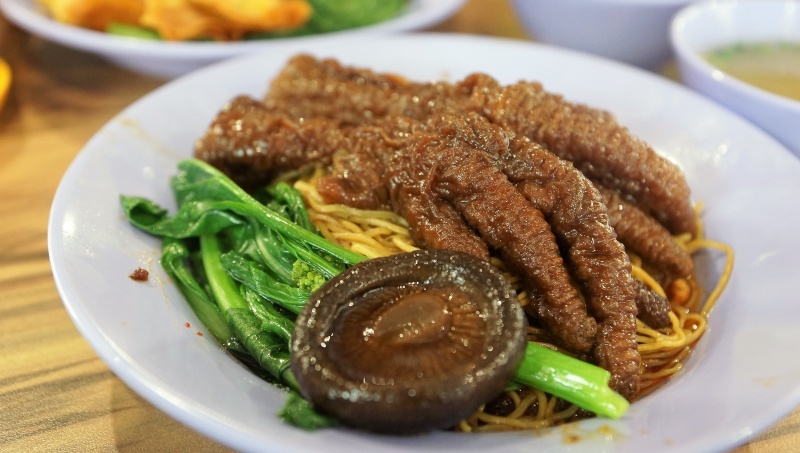 With more than 30 years of experience in whipping out numerous plates of wanton mee, Shi De Fu continues to win the hearts of diners, and has its success attributed to the culinary skills of Mr Tang. It is actually a business that was handed down from his parents few decades ago. 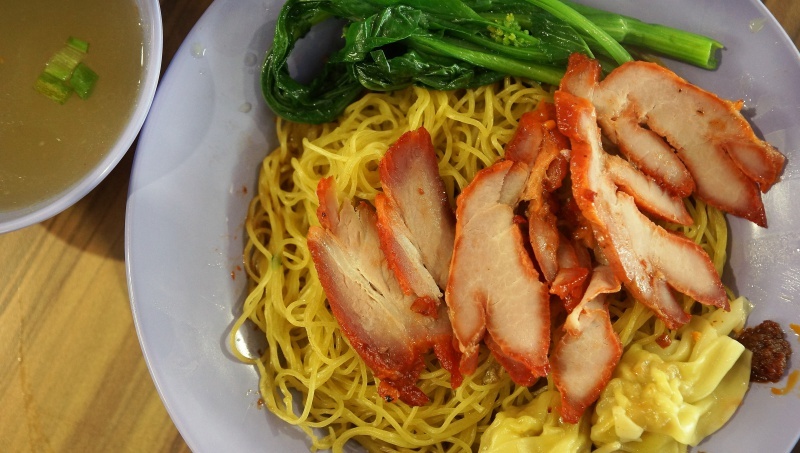 Shi De Fu serves traditional wanton noodles with various toppings. Besides the standard dumplings with char siew, there are Chicken feets, Pork ribs and Fried Dumplings available. Curry Chicken is another signature dish on the menu as well. 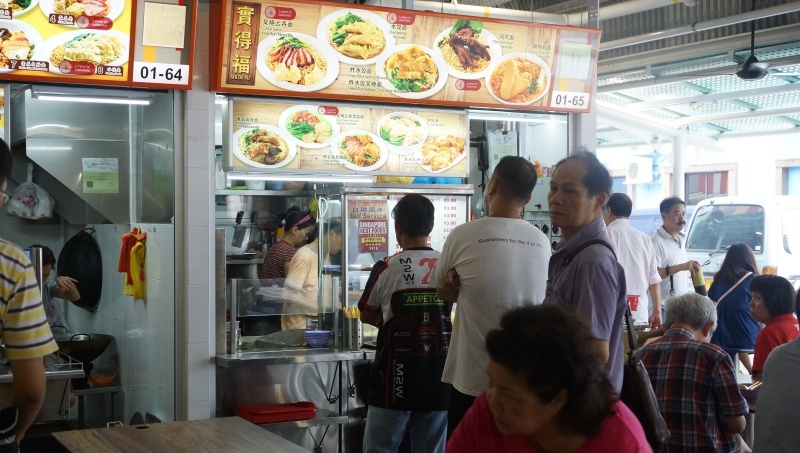 There are many good wanton noodles around and Shi De Fu has its edge when it comes to wanton noodles. 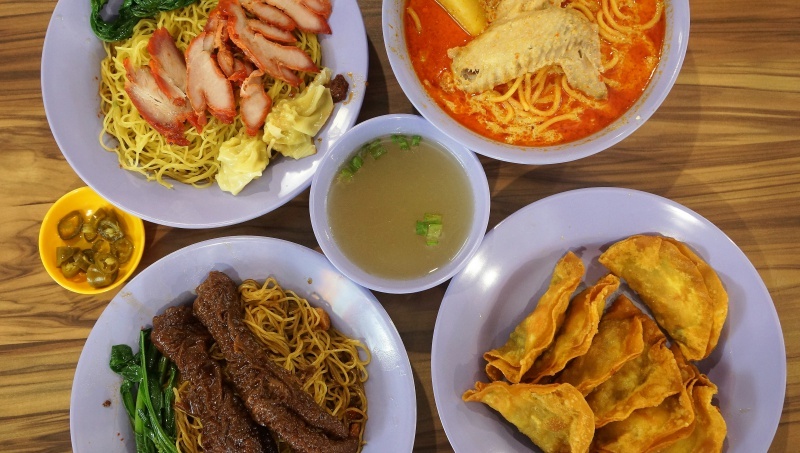 The soul of a good Wonton mee highly relies on the base sauce, it has to be savoury and yet flavourful to give the overall taste a good boost. Shi De Fu’s recipe is good enough to leave ab impression with its tantalising taste. 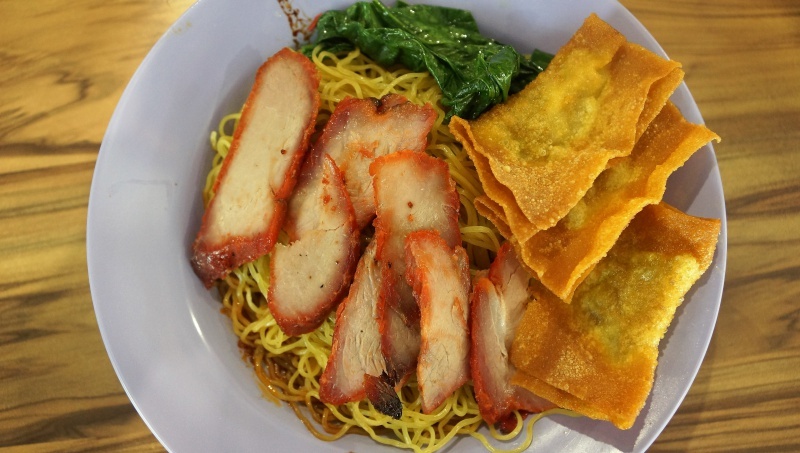 Both the Char Siew and dumplings complemented the noodles well. Don’t neglect the bowl of soup that is served with the noodles, you will be surprised by how tasty it is. 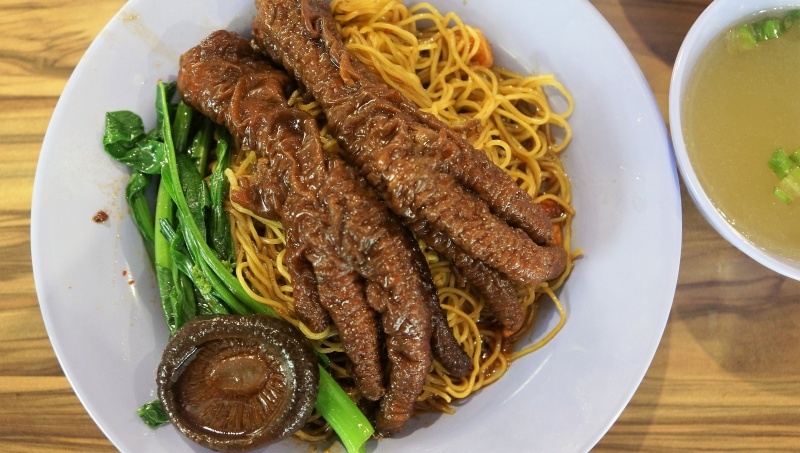 Chicken feet which consists of tendons, skin and cartilage, is rich in gelatinous collagen. When cooked right, it can be a tantalising dish for many who know how to appreciate the beauty of this gnarly and repulsive bird’s part. Shi De Fu Chicken feet was well-braised to ensure the right tenderness. It was pleasant to nibble around and savour the juiciness of the bones. We wished there were more in the spices to give the flavour a level up. 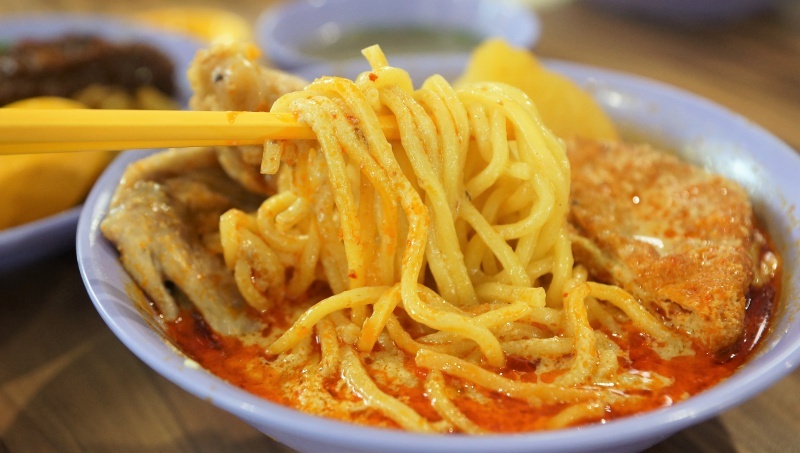 While wanton mee may be the star of the show at Shi De Fu, curry chicken has given the anchored dish a challenge with the right qualities expected of a good curry chicken. The delectable gravy, tender chicken and potatoes to make the dish another good choice when dining here. The standard is good when compared to many other curry chicken around. Fried dumpling is the signature at Shi De Fu and you got to give it a try. We had to agree that the dish lives up to its name. 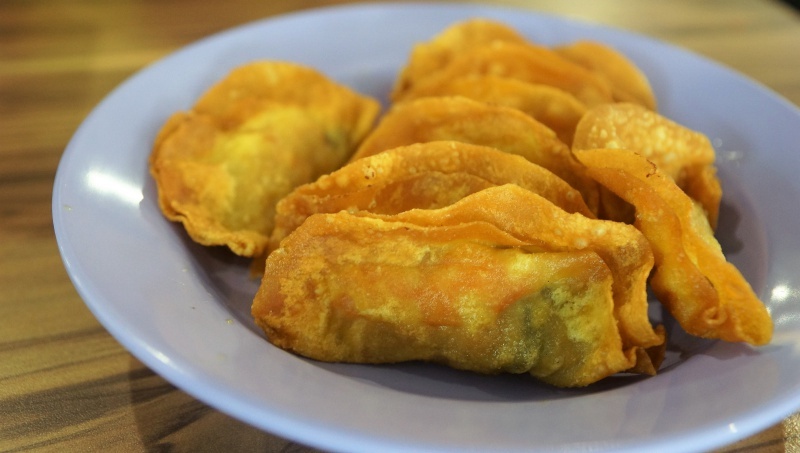 The deep fried crisp wanton skin encased all the flavourful ingredients, we had a strong urge to go for a second serving. 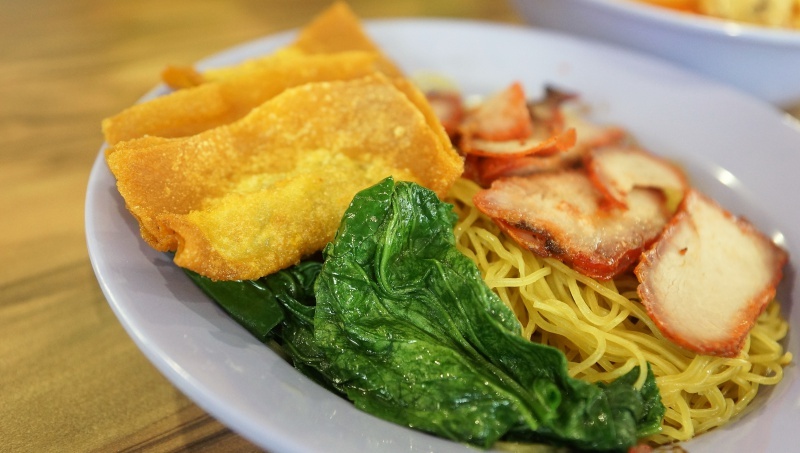 Shi De Fu Wonton Mee is one of the good choices when you visit the food centre. 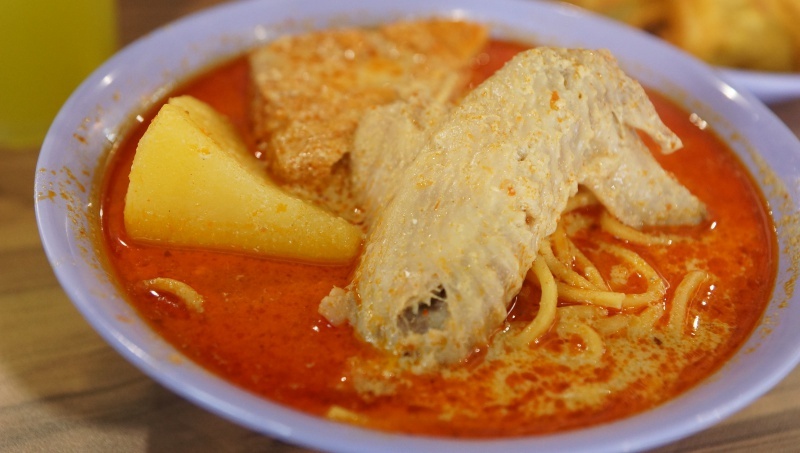 Besides the delectable noodles, don’t miss out on ordering the fried dumplings, or try the curry chicken noodles as well. You won’t be disappointed with it. Disclaimer: This is a Media Invite food review, Ieatandeat will pay the cost of the meal if the food is not up to the expectations and no review will be published.